The Kendall Rayburn Blog is a participant in the Amazon Services LLC Associates Program, an affiliate advertising program designed to provide a means for sites to earn advertising fees by advertising and linking to Amazon.com. Keep scrolling for 25 Under $10 Gifts for Your Dog on Amazon! Hope you’re having a great day! As you know, we LOVE our pets. We have two adorable dogs, Emma (Labrador Retriever) and Ted (Beagle Miniature Pinscher Mix), and they are both spoiled rotten. For Christmas I love to leave a couple of toys for them in their stockings that they can pull out and enjoy on Christmas day. Right now Amazon has some INCREDIBLE deals on dog toys, especially from our favorite almost indestructible brand, KONG. 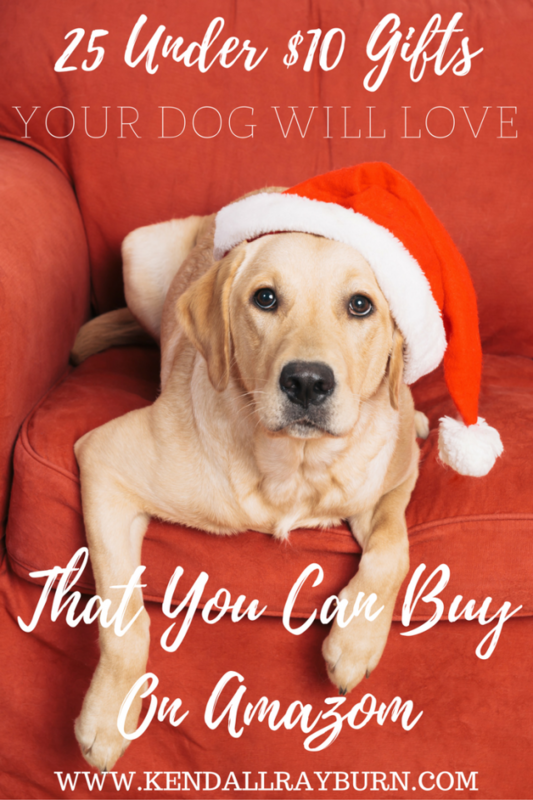 With two dogs that love to chew, it’s usually so hard to find toys that they will love and that will last, so I’ve complied a list of some of our favorite dog toys that just happen to be on sale for under $10 on Amazon! So, take a peek at the list below and pick something up for your pup for the holidays! 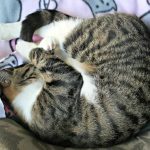 Do you purchase gifts for your pets during the holidays? Tell us what your dog’s favorite toys are in the comments below! 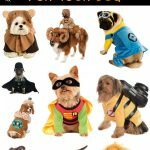 20 Halloween Costumes for Dogs! Oh cool! I’ve been looking for some cool stuff for my two guys this Christmas. I guess I found them. Thanks! This is a great list. I love that everything on here is so affordable. This time of year, that’s really important. These look like some great options! We have two dogs who I admit I spoil wayyy too much. Although my 8 year old daughter is right there with me wanting to spoil them. We don’t have a puppy but I have quite a few dog lovers in my circle of influence. I will share this list with them, there are some great ideas here! This is great list! Sadly I usually am so busy buying for everyone else that my poor dog is usually forgotten! Such a great list! Toys are so important for pets during the winter months when they may not be as active because of the cold. Great list! I’m sure my fur babies would love everything on it! I don’t have a dog, but I have a ton of gifts for my cats right now haha. I’ll have to look at a few of these for gifts for my parents dogs though! My fur babies would love all these cool stuff. Thanks for sharing this list. What a amazing prices.. These is great for this season.. Can buy a lot of things for gifts because of the cheap prices. Love it. I have a lot of friends owning dogs and this will be perfect for them to buy gifts for their dogs. These are all great ideas. I love that they’re under $10 too. I don’t have dogs, but I can share this with others that do! Love it! We always fill stockings for our cats so they have a nice treat on Christmas morning too! Can’t forget our furry friends. My dog would love a few of these gifts. We ordered him a glow in the dark collar for Christmas. It will make finding him easier if he runs off. Cute ideas! We all fill our pet’s stockings up with some goodies. Thank you for keeping your gift suggestions for frugal moms like me. It;s so helpful when your on a budget. I’ve been been trying to think of things that I could buy for my dogs for Christmas. These ideas definitely come in handy. Thank you for sharing! I have two dogs with a huge difference in size and ages. I have a boxer who is 12 and a chug (pug/chihuahua) who is 4. The older one doesnt care about toys too much anymore but she sure loves her treats. The younger one still wants everything. I haven’t bought any for my dogs this year. It’s fun watching them open gifts on Christmas morning. My dog gets presents all year round. I have bought 6 of the items on your list from Amazon for my Molly. She loves the KONG brand, they really do hold up well. Omg so many awesome gift suggestions!!!! I’ve been having a tough time thinking of things for my hubby this year so this helped me out a lot!!! We should spoil our old lab a bit this Christmas, he puts up with a LOT of toddler shenanigans.